'Doctor Who' is one of the longest running science-fiction series originating from the United Kingdom to date. In a nutshell, the television show documents the adventures of one Time Lord, an ancient humanoid race, the Doctor, traveling with an assistant referred as a companion inside the time traveling spacecraft TARDIS. The science-fiction show is so popular that the Wales Millennium Centre in Cardiff, Wales, hosted the first official convention this year in a weekend in March. The convention attracted fans from as far away as Canada, the United States, Australia and New Zealand. Matt Smith, the current Doctor, and Karen Gillan, the departing companion Amy Pond, attended the convention to meet fans from all over the world according to BBC. Previously showcased in London, the Doctor Who Experience will exhibit sets, props and memorabilia from the popular show in Cardiff Bay later this year according to BBC News. Based on the London attendance, the Doctor Who Experience is expected to draw the attention of up to 250,000 visitors per year. Similar to any science-fiction work, the show is inspirational to research scientists. According to BBC, Dundee University researchers have created their own version of the Doctor's sonic screwdriver, which is a handheld device capable of opening doors, performing medical scans and remotely controlling other objects. However, Dundee University's device, which uses ultrasound to lift and rotate a disc in a cylinder of water, will be used for medicine. Researchers are optimistic that their device will be instrumental in future medical applications. No longer an in-progress concept or rumor, 'Doctor Who' is currently in production for Series 7 with Matt Smith returning as The Doctor. Series 6 ended in the latter half of 2011. 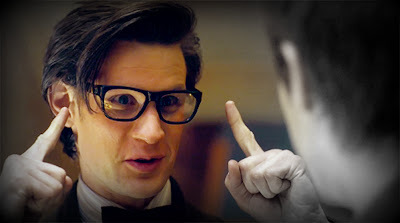 Per tradition, the producers aired the Christmas special "The Doctor, the Widow and the Wardrobe" on December 25, 2011. As for in-studio production, 'Doctor Who' will be moving to a new facility in Roath Lock nearby Wales Millennium Centre. According to Chuck Foster's post on doctorwhonews.net, production for the new series began in February this year. 'Doctor Who' crew filmed at a private home on location in Penarth, Wales, as Amy and Rory's home. Arthur Darvill (companion Rory Williams) and Karen Gillan filmed scenes with guest star Mark Williams of 'Harry Potter' fame as Ron Weasley's father Arthur Weasley at the home of Grace Jenkins who posted updates on Twitter. Additionally, in March, the crew filmed in Spain for the third episode with a Wild West theme. Recently this month, Smith, Karen Gillan and Arthur Darvill acted in scenes for the fifth episode of Series 7. Best of all, the 'Doctor Who' cast caused joy for fans in the borough of Manhattan in New York City during their shoot. Accompanying the lead stars in New York City was Producer and lead writer Steven Moffat. Filming occurred in East Manhattan, Central Park and Times Square. Unfortunately, Moffat announced the departure of Amy Pond and Rory Williams recently. Thus, 'Doctor Who' will have a new companion played by Jenna-Louise Coleman starting on the sixth episode, the Christmas special airing around Christmas this year. According to BBC production shots uploaded to the 'Doctor Who' Web site, the Daleks will return in Series 7 as major foes. Additionally, an approximately minute-long preview of Series 7 is available on the official 'Doctor Who' Web site. Later this August or September in Chicago, 'Doctor Who' cast and crew will find out if they win awards or not for three episodes nominated for the Hugo Awards' Best Presentation-Short Form category. William Register works for the internet retailer Sci-Fi Stuff and writes for several personal blogs. Sci-Fi Stuff is an online store focused entirely on science fiction. Some of their most in-demand products include their line of Doctor Who Shirts. Click here to see the current styles available.